My name is Tun Tun. I am ethnically Karen. I started primary school in 1997 and finished in 2002. After primary school, I went on to middle school at a sub-high school in another village because we did not have a middle school in our village. I left school after finishing grade seven. At that time, my parents could not support me to continue high school in Myanmar. However, they managed to find a way for me to continue my education. Back then, my uncle was a monk living in Mae La Refugee Camp on the Thai-Burma border. So I left for Mae La Refugee Camp to live with my uncle, and he enrolled me in a high school in the camp. After completing high school, I studied Science for two years and Arts for two years at Leadership and Management Training College (LMTC) in the camp. After graduating from LMTC, I returned to my old high school to teach for one and a half years. I then attended the initial medic training program at Premiere Urgency International (PUI) in Mae La Refugee Camp. It took around one and a half years to complete. When I was attending the training, I did not receive any financial support from my parents, nor did I have a chance to live in a dormitory. Instead, I lived in Thirisanda Monastery inside the refugee camp. To be able to support myself throughout the training, I studied in the daytime and taught English, Burmese, and Math to children in the evenings. Then I returned to the monastery to take a bath and have dinner. After that, I studied my lessons at night. I struggled for over a year independently. Even though I had a lot of difficulties in life, I did not give up and tried to overcome them in order to achieve my goal. During the training, I was even nominated as a class monitor by my classmates. 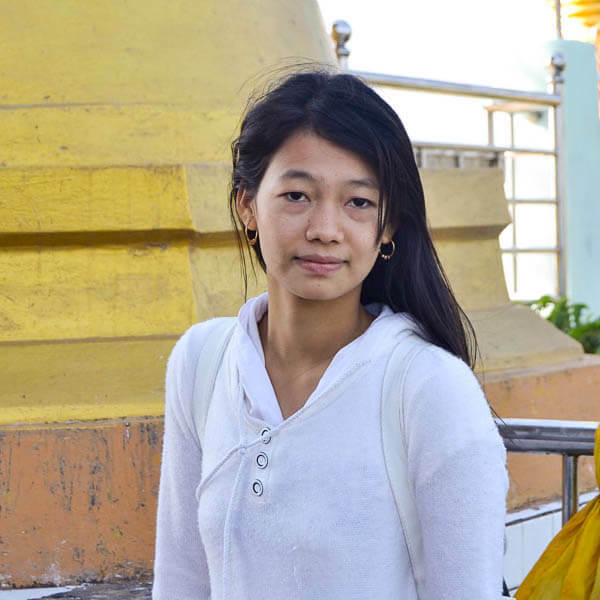 Helping Tun Tun cover the financial costs of attending college is like helping Karen State develop. At the end of the training, I passed the exams with high scores and was chosen to work in a clinic as a volunteer medic. I worked at PUI for five months after I finished the training. Dr. Linn Phyo Maung, a doctor from the clinic, suggested that I study to take the General Educational Development (GED) exam while I was working in Mae Sot. Last year, I prepared for the GED exam at Moe Ma Kha Learning Center in Mae Sot. At the end of the year, I applied to the Nursing Science program at Chiang Mai University. Currently, I am halfway through the first year studying at CMU. During my first year, I learned about the history of nursing, the roles of a nurse, the nursing code of ethics, holistic nursing, biology, and other medical knowledge. My favorite subject is “The Roles of a Nurse” because nurses must know their roles when working in the field. There are students from many different countries in my classes. Some students are very smart and intelligent, while others have rich experience. We have various skills and clinical experience. As a result, we can help each other in class despite our differences. From a child with no future to a young adult in pursuit of a better life, I have been inspired by many individuals—and I am very grateful to them for guiding me towards my ultimate goal. 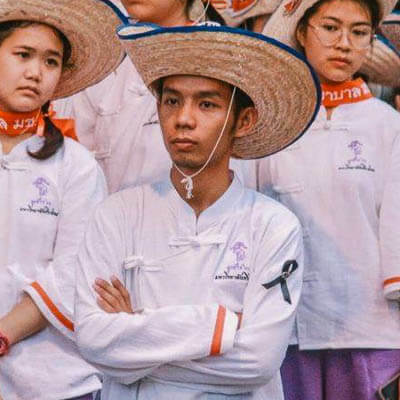 The medic training gave me basic medical knowledge, but it is not sufficient for me to be able to effectively contribute to the physical well-being of people in Karen State. To conclude, my dream is to become a registered nurse who will be an invaluable asset to people in my community. 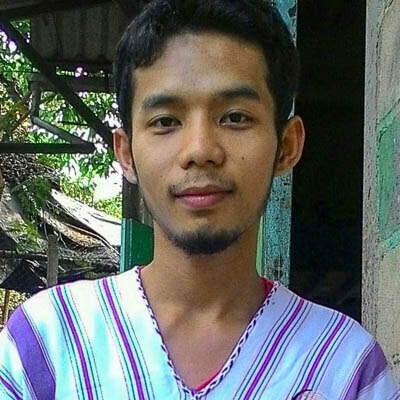 Written by Tun Tun with editing assistance from Zomia’s volunteer editors.